Into the life of every cruise ship worker, a little (or a lot) of structure and even some sacrifice, must fall. As much as I LOVE what I do, just like everyone else around the world, I look forward to vacation. Something that makes my vacation different than the rest of the world is that I have not only worked every day since the beginning of time (as it feels sometimes), but I’m away from home roaming the globe on a giant, floating, self-contained resort. Needless to say I look forward to different things than the average vacationer. Of course cruise ship workers look forward to spending quality time with friends and family, just like everyone else, however there’s some things you just can’t do on a ship that you miss while away. Here’s my list, in no particular order! – grocery shopping with abandon. On ships we don’t have a lot of storage space, refrigeration, or the ability to cook. Enough said. – COOKING!!! I just want to cook dinner!! Preferably with a glass of red wine in one hand. – Pets. I am notorious for making friends with random stray dogs/cats/goats/horses while on in ports. In fact I once tried to tame a wild pony in Jamaica. It wasn’t the best idea I’ve ever had. One of the greatest things in the world is having a pet around. – Not worrying about back on board time. After an extended period of time paying close attention to when the ship leaves and when you have to work or be back onboard, being on land as the sun goes down is a decadent feeling. – Not knowing people. As hard as it is to say ‘see you later’ to your ship family, sometimes it’s refreshing to walk down the hallway/street without knowing everyone. Anonymity can be absolutely delightful, in the same way that silence is golden. – No name tags!! Imagine your morning, you walk out of the house and you check for your wallet and keys. Cruise ship workers check for our cabin keys and our name tags. It takes me several days if not a full week of checking the left side of my chest for my name tag before I subconsciously realize I’m on vacation. I can always tell that I’m ready for a vacation when I look at people in movies or on tv and wonder where their name tags are. – drinking tap water. I know. This is a wierd one, but stay with me. As anyone who has cruised knows, you don’t drink the tap water. It won’t kill you or anything, it’s just not delicious and not filtered. There are some filtered taps around the ship that you can drink from, but most of our consumable water come from purchasing bottled water. Which is delicious (particularly in the South Pacific where we get Fiji water quite often), however drinking water straight out of the tap in the kitchen sink is something I REALLY miss! – Fire! Fire is the most dangerous hazard at sea so we aren’t allowed to have anything onboard with a flame (other than lighters), no candles!! As soon as I get home I light candles and build fires in the fireplace, regardless of the season. – Fast unrestricted internet!! We do have internet onboard but it’s not the fastest nor the most economical. We spend days in port hunting for WiFi. Getting back to land and having high speed internet 24 hours a day is a luxury, and gives you a chance to catch up on all the cat videos you missed while at sea. These are really just the things that I REALLY look forward to when I’m at sea. What do you look forward to when your vacation time rolls around?! 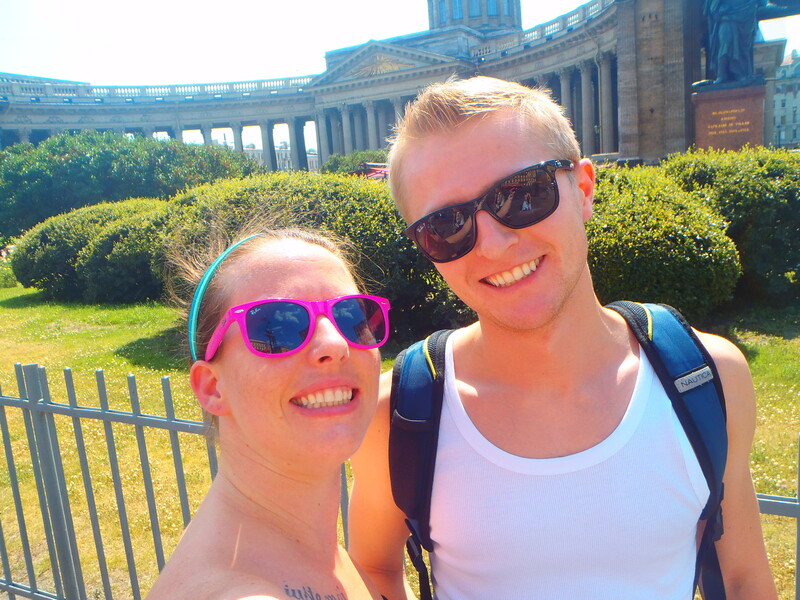 When in Russia, travel with a Russian!! Seems simple, right? Now that we’re on the Baltic side of Europe, we’re in a different country every day with COMPLETELY different languages. When we were on the Med side, Alexey relied on my French when we were out in French ports, now that we’re on the other side, when we’re out in Russia, he translates everything for me! And let me tell you, it necessary, the Russian subway is confusing. Beautifully decorated, but confusing, and not everyone speaks English so had I been by myself I would doubtless have gotten lost. International friends are a wonderful thing! 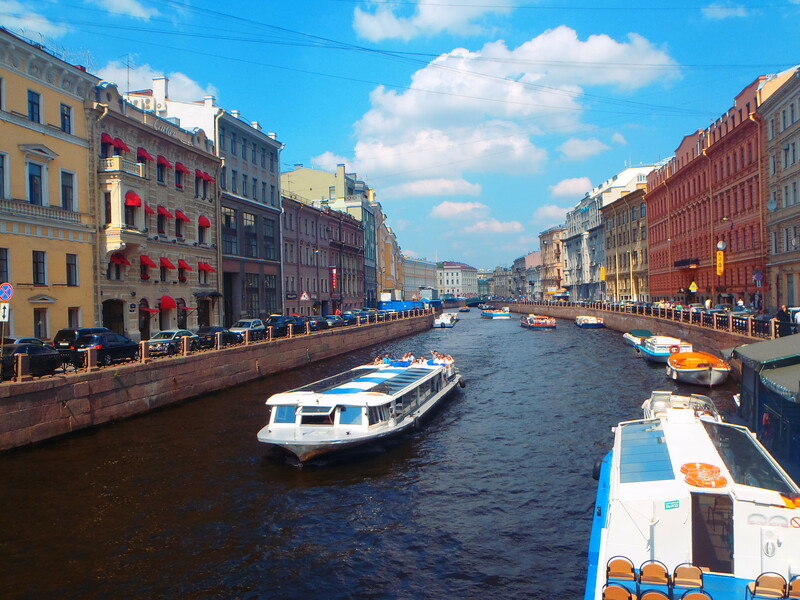 Today was our first St. Petersburg and it was amazing. 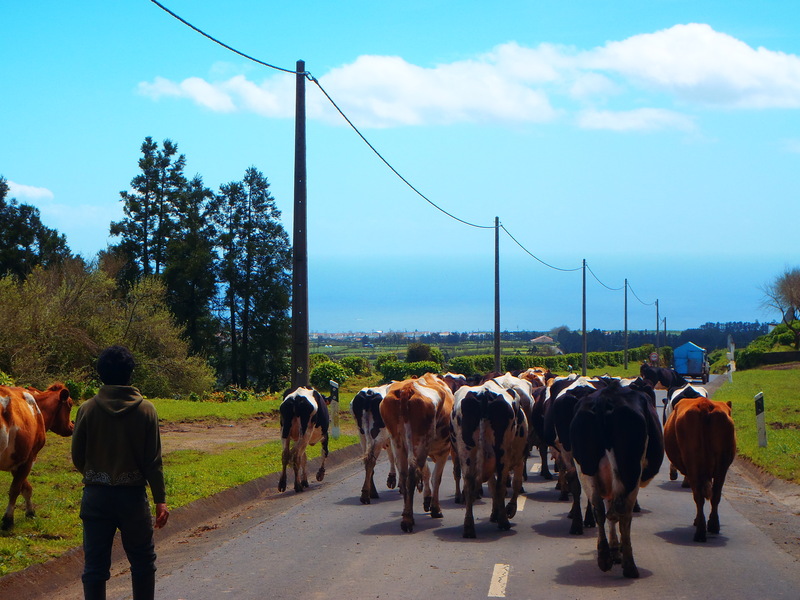 We walked for hours and saw so many things. It was BLAZING hot which I quite enjoyed. 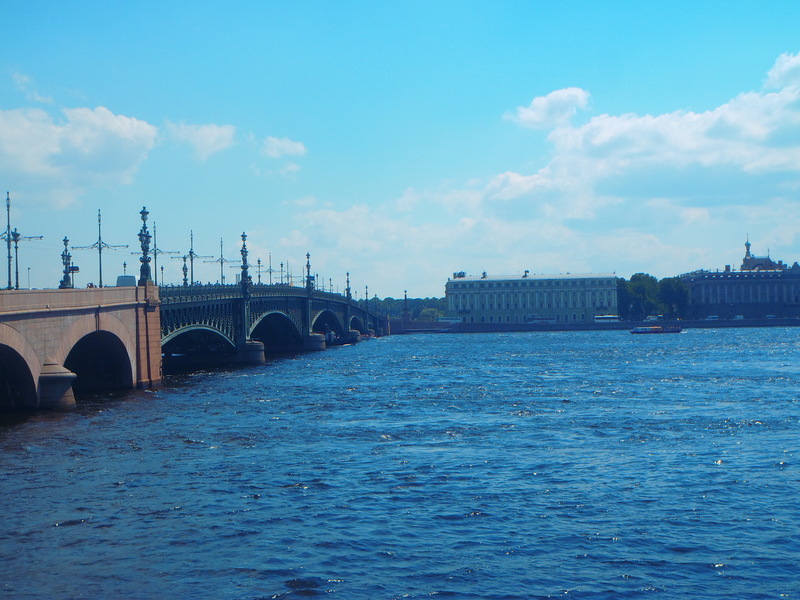 We saw the Cathedral of Spilled Blood (which I accidentally called the Cathedral of Spilt Milk and caused Alex to laugh for the entire afternoon), St. Issac’s Square, the Neva River, the Peter & Paul Fortress and the Hermitage Museum. We really moved!! 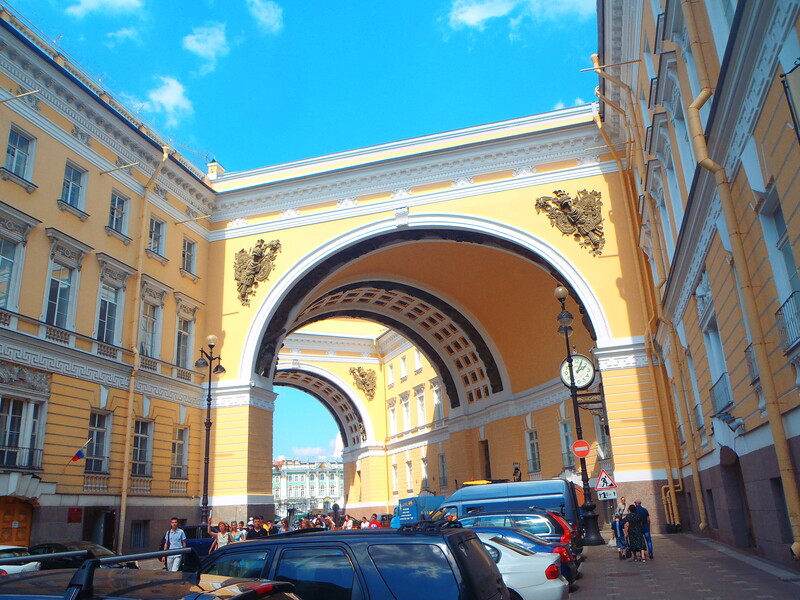 Obviously we didn’t really go inside every place, I’m hoping to go inside the Hermitage Museum when I can go into the gold room and everything. 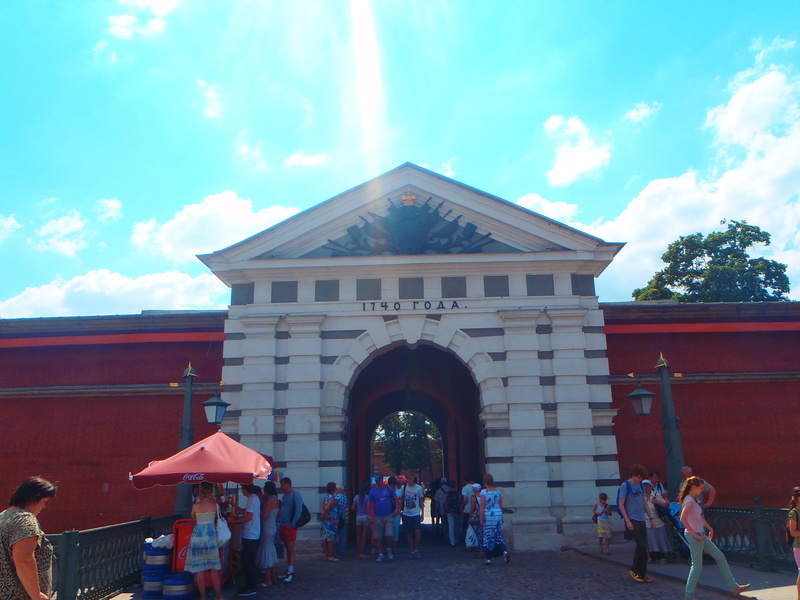 We did go into the Museum at the Peter and Paul Fortress as well as the prison and the medieval torture museum! We had such an amazing day. Peter and Paul Fortress was spectacular, the church room where all the tombs of the Emperors and Empresses are housed was amazing. It’s actually coated in a fine layer of gold! The history is fascinating. In the prison we saw the cells where people were imprisoned at one time. Having Alex with me made it even better because he knows so much Russian history and is always happy to share informative stories and tidbits. I have discovered that I love Russian folklore. 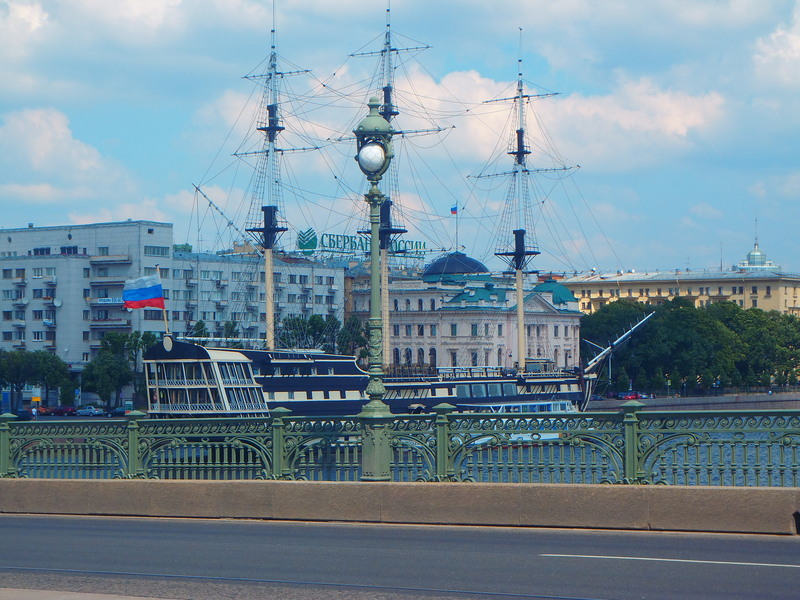 Our Firebird lounge on board is based on a Russian fairytale and all over St. Petersburg they have amazing Firebird trinkets and souvenirs. 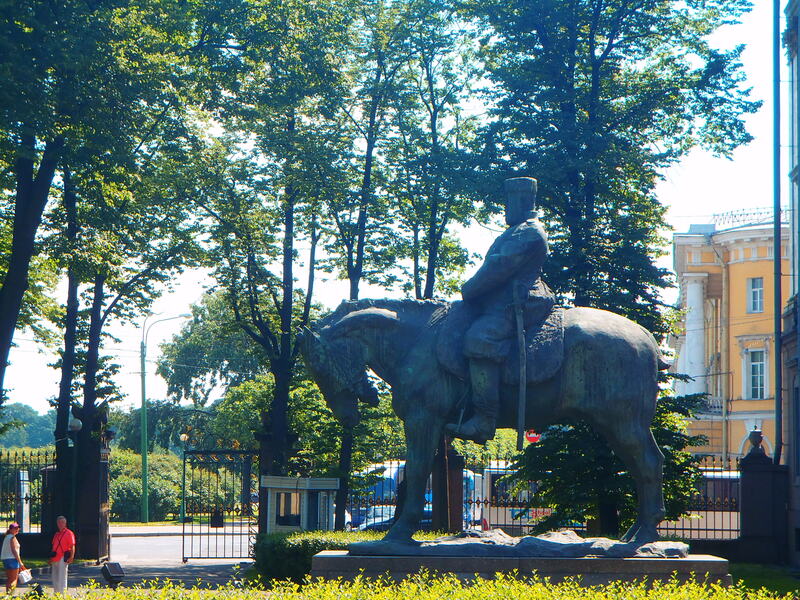 I find Russian history so fascinating. Alex’s town was a secret city for a time!! They made AK-47s there during the cold war so it wasn’t even on any map!! 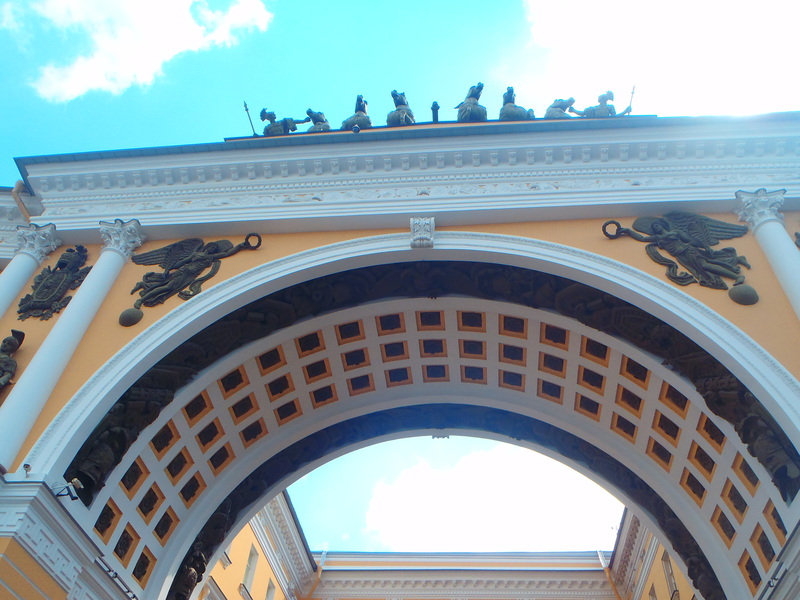 Tomorrow we’re off to the Petergof Summer Palace to see the amazing fountains!! I can’t wait! Just as we managed to get settled (as settled as we possibly could be) in the Mediterranean, we now have to prepare to head to the Baltic ports. Obviously that is super exciting for all of us. However it’s also a little bit stressful as we now have to learn everything there is to know about another 12 new ports. Just to make it a little bit trickier, Carnival hasn’t been to the Baltic either ever or in a very long time. Therefore we have very little port information and most of us have never been to these ports. When you spend 6 months doing the same ports over and over you memorize the ports and exactly how many steps it takes to get to each place and where the best restaurants are. On this route, we are only just starting to get really familiar with the ports and now we’re changing them!! It’s a very difficult position to be in as guest services because all the guests expect us to know everything about everything. The first Med cruise was a disaster, I had no idea where anything is or where a good coffee shop is. 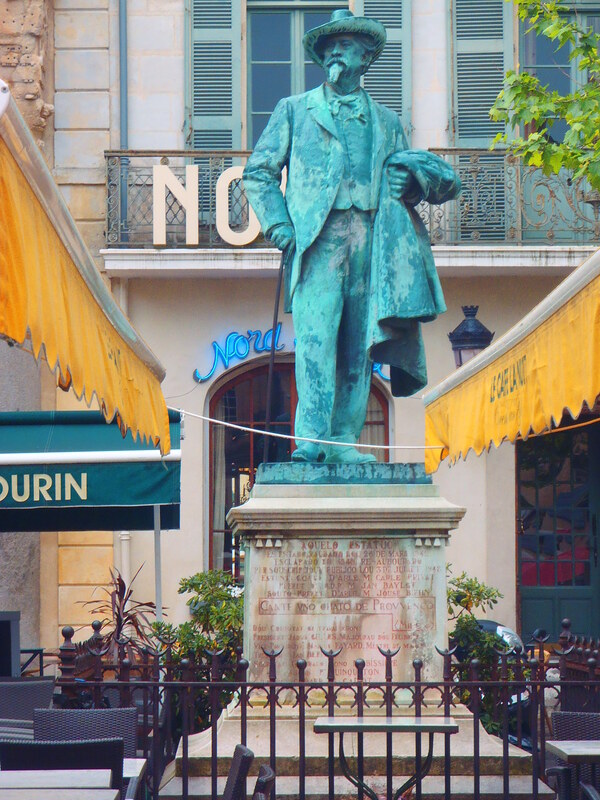 Now if you ask me about Malaga or Livorno, or Rome, I can tell you my favorite restaurant, what corner is worst for pickpockets, what time the train to Pomeii leaves, and which side of the shuttle to sit on to get the best view of some random monument that I’ve grown randomly attached to. And now we have to get used to all new ports. Fortunately, our port agents in every port are very knowledgeable and helpful. They are always happy to answer our emails with informative tidbits. Plus google is a wonderful thing! So we’ve been preparing and preparing and now it’s almost time!! We are currently on our repositioning cruise that will end up in Dover!! I haven’t had much time to get really excited about it, as we’ve had a lot on our plates, however I know it will be a thrill to wake up in the UK!! I can’t wait to explore all our new ports and to share it all with you!! I have seen a lot of things in the last few months. 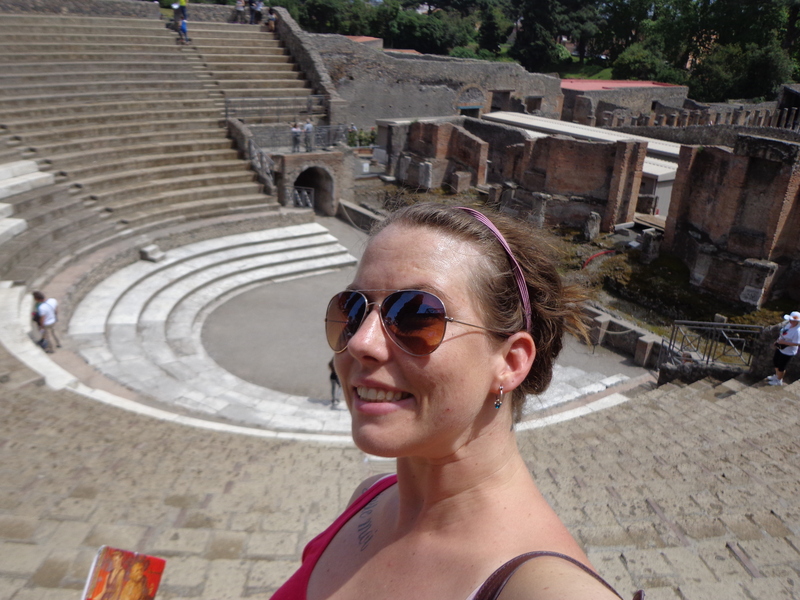 One of the most amazing things I’ve seen thus far is Pompei. From where we dock in Naples, it’s just a short jaunt to the train station. We got to know the route the commuting locals took, which winds through the cluttered, narrow city streets and eventually past an amazing open air market. I always get distracted by the fresh produce and must stop to buy some for the journey. If I lived in Naples, surely I would purchase fresh fish from the market for dinner every night! The train is, well, it has character. Around the office, we’ve nicknamed it the Ghetto Train, as it’s not nearly as comfortable as the Venice or Rome trains (these ones are also more expensive and are more long distance trains than commuter trains, but still, it’s a little ghetto). They are covered in graffiti, which I actually quite like, but it’s not for everyone. Regardless of the train’s amenities, it gets you where you need to go, and that’s really the whole point of a train, isn’t it? And it’s very economical, which we’re big fans of! This particular train that we are concerned with goes to Pompei and Sorrento (where I also was lucky enough to visit, and will discuss later). 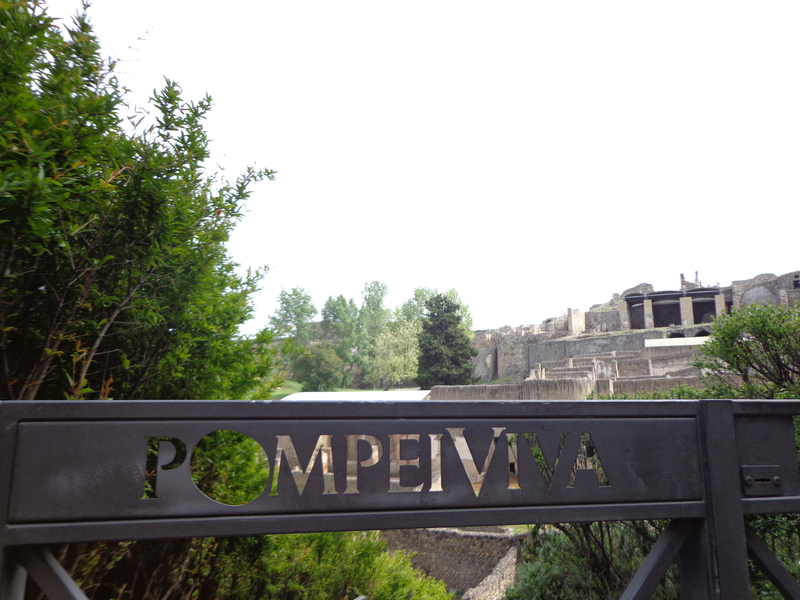 This day we went to Pompei to explore the legendary city. 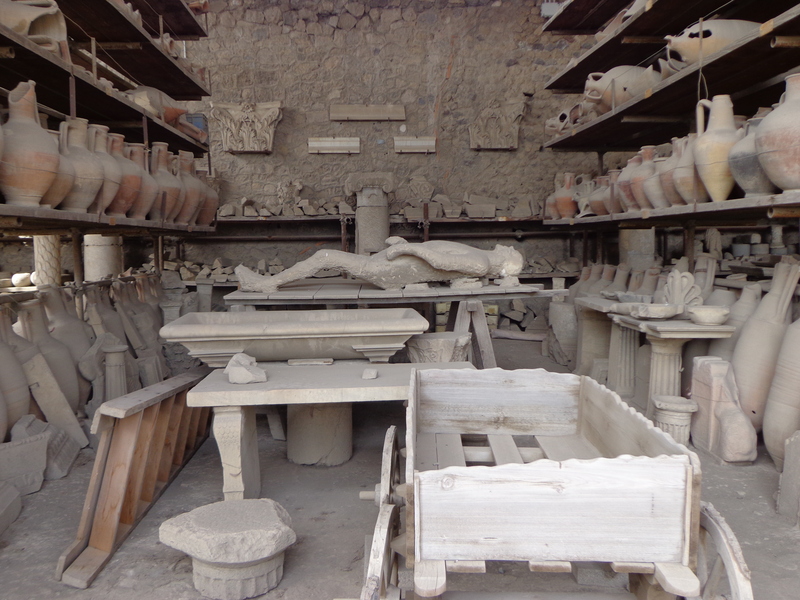 There is really something chilling about Pompei. I’ve heard about it for years but no one ever managed to convey the sheer magnitude of the demolished city. Being there and seeing the ruins of the city you can almost feel what those people must have felt only moments before they were buried in molten lava. With Mt. Vesuvius towering over us in the distance, we explored the city, stopping to marvel at the mummified bodies of the city’s last citizens. 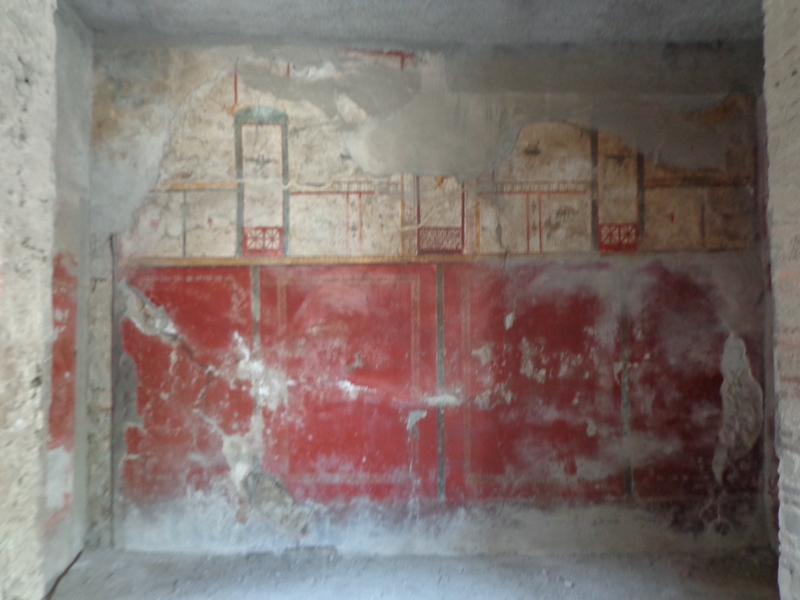 The meticulous detailing in the painted walls that still survive today demonstrate the vibrant life that these people clearly enjoyed. I will never ever forget the feeling of being in that amazing city!! I’m still trekking along in my quest to update all the blog posts I’ve been missing since the crossing, so this one come right from that particular cruise!! 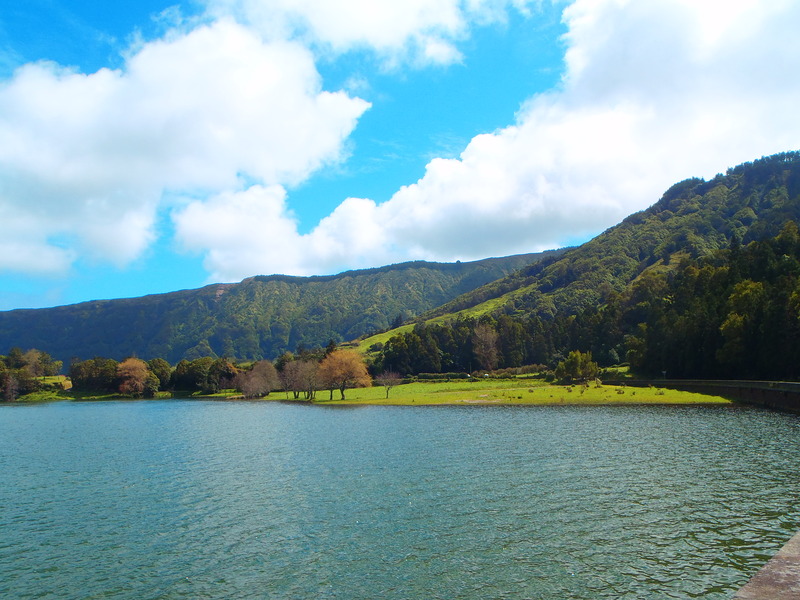 When we got to Ponta Delgada we were all very excited to see land again after four long sea days. Debbie and I were particularly excited because Debbie is Portugese and had never been able to visit Portugal before. For her it was almost a religious experience and her enthusiasm rubbed off on me as well. We had an amazing day. 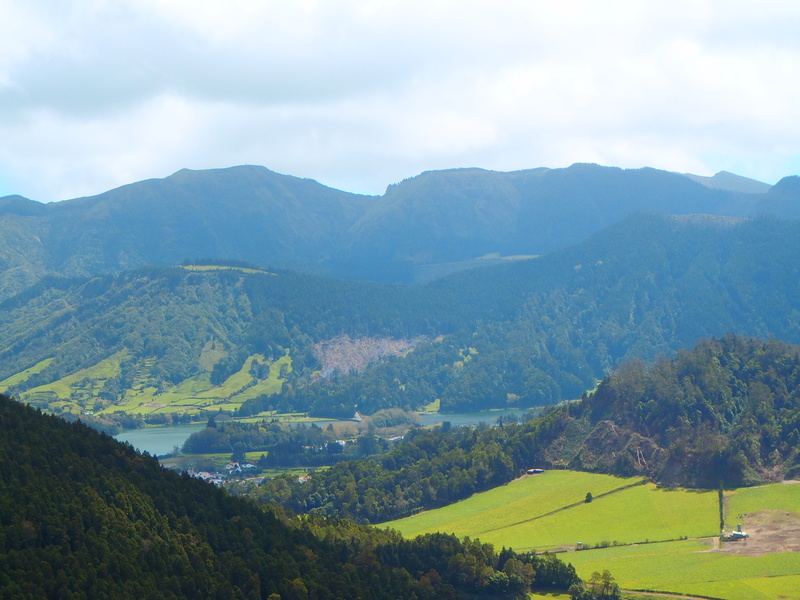 We considered going on an excursion but our schedules didn’t really allow for it and so we bartered with a taxi driver who gave us a very reasonable rate for a few hours of touring wherever we wanted to go. He ended up being a fabulous tour guide as well as an excellent photographer. It was an amazingly beautiful place, one I hope to visit again. We had an amazing tour and afterwards we had a magnificent lunch of freshly caught fish and local wine. I absolutely adore being in France. Every time I’m there I feel as though I’m coming home. 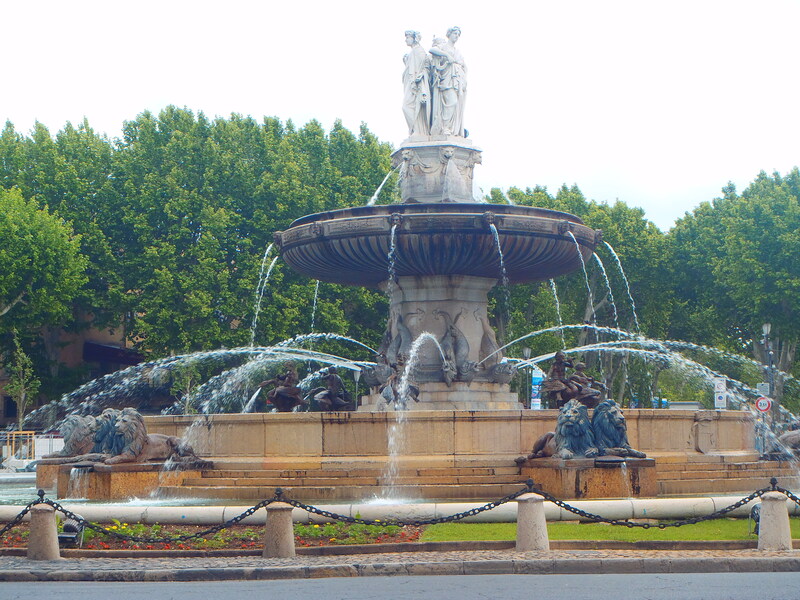 This stop in Marseilles, I went on a fantastic excursion to Arles and Aix. 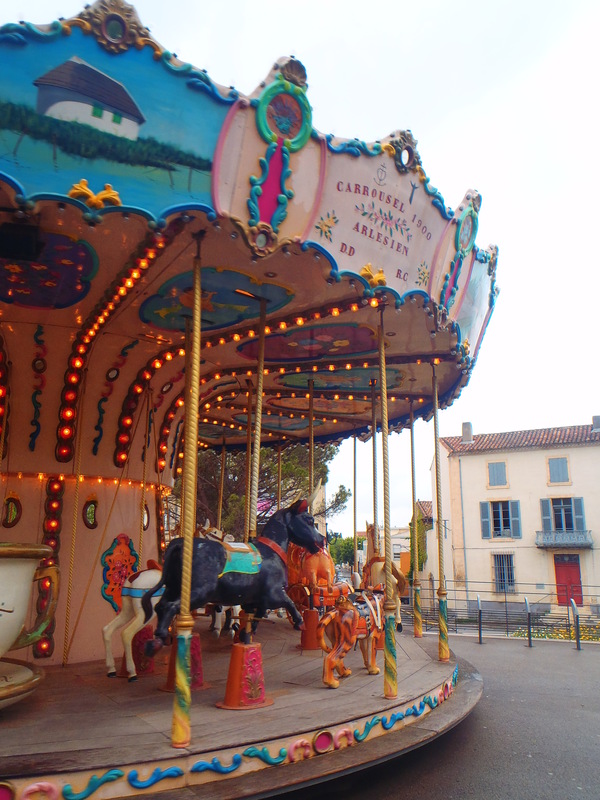 A bus ride through the stunning French countryside led us to Provence. 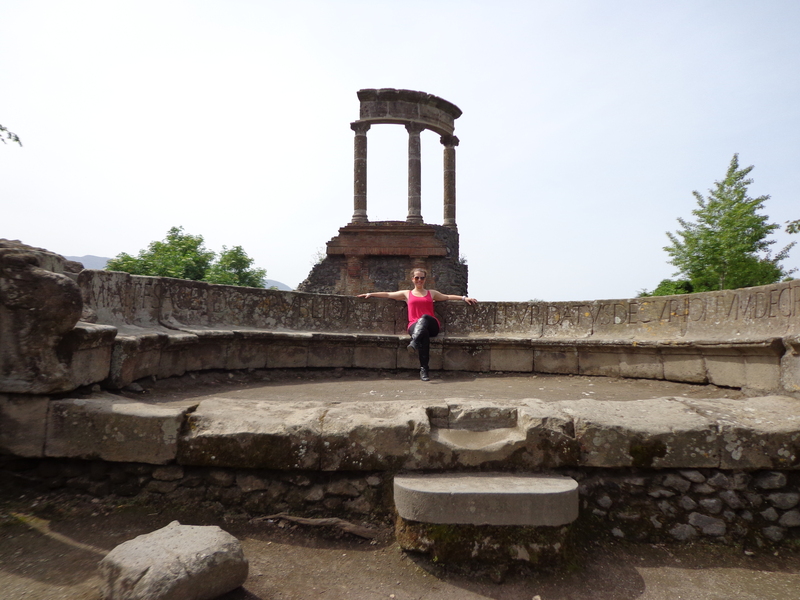 Our tour guide was very knowledgeable and friendly. As a history major, he had endless facts and gems of knowledge to pass along. 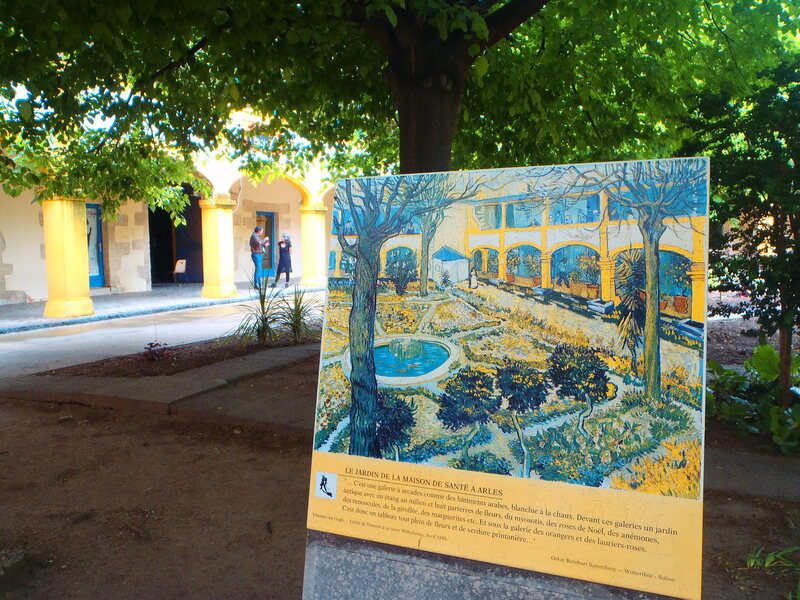 We went to the hospital in which Van Gogh had been hospitalized for several weeks. Having seen some of the work he did while there, it was a revelation to see the place that inspired them! We were actually quite lucky to arrive there fairly early on a drizzly day, as there were very few people in the street. 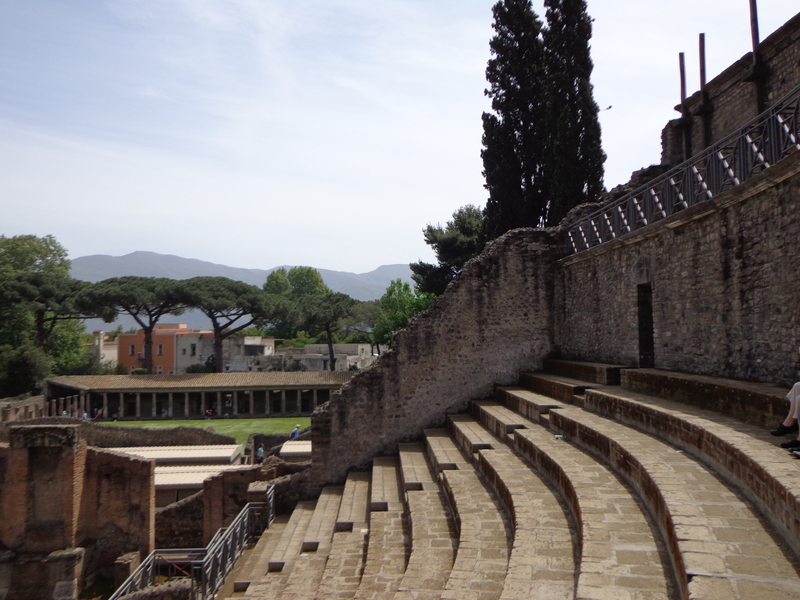 We saw an amazing Greek amphitheatre that in fact is still in use today, for concerts and shows and such. I had such an amazing lunch with our tour guide and his colleagues. I had told him earlier that I prefer to speak French if possible as I don’t need to work on my English but my French always needs tweaking. From then on we only spoke French for the rest of the day (except when in the company of the rest of the tour, and even then, if we were speaking directly to each other we spoke only French) and a few times when trying to explain something complicated that was difficult for me to do in French and I broke into English, he stopped me and patiently guided me through what I was trying to say. 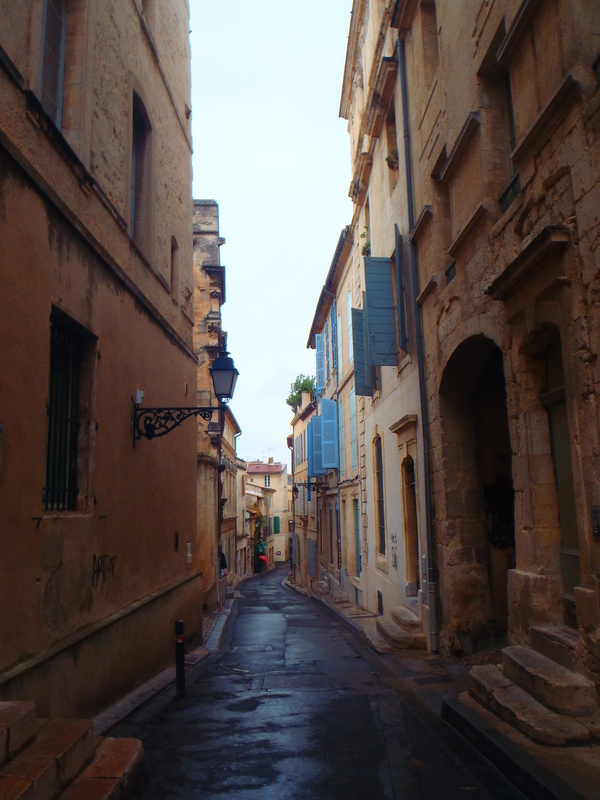 We met his other guide friends at a lovely restaurant and ate beautiful food and only spoke French and drank wine. I didn’t want to leave! I love speaking in my second language because it really makes me think about what I’m saying. In English my mouth sometimes moves without my brain actually processing things, I’ll often just ramble on about nothing and not even listen to what I’m saying. In French I have to take much more care constructing sentences and verbalizing my thoughts. Plus it just sounds better, the French language is so beautiful. All in all I had such a fabulous day, I can’t wait to return to France!! I’ve been to Isla Roatan, Honduras, many many times as the Liberty went there every second week, but I never managed to go on an excursion there for some reason. 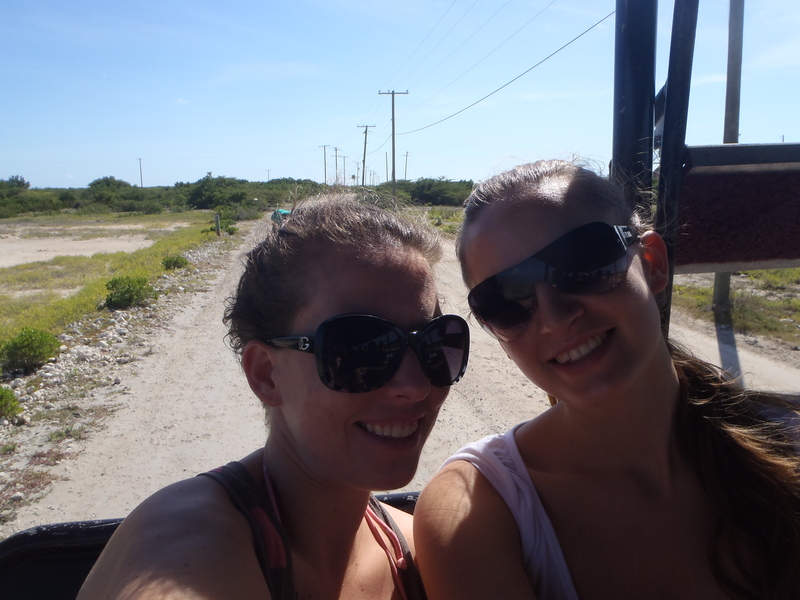 Last week when we made our last stop there on the Legend, Valeria and I went on an excursion in Roatan!! 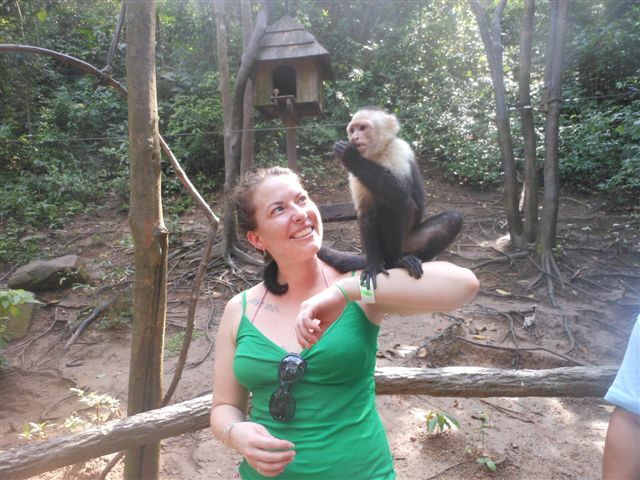 It was so much fun, we did ziplining and then went to a resort beach and a park with monkeys!! It was such a fun time! It was really interesting to see more of the island. I’ve only really seen the Mahogany Bay part, which is actually made by Carnival so it’s very picturesque. 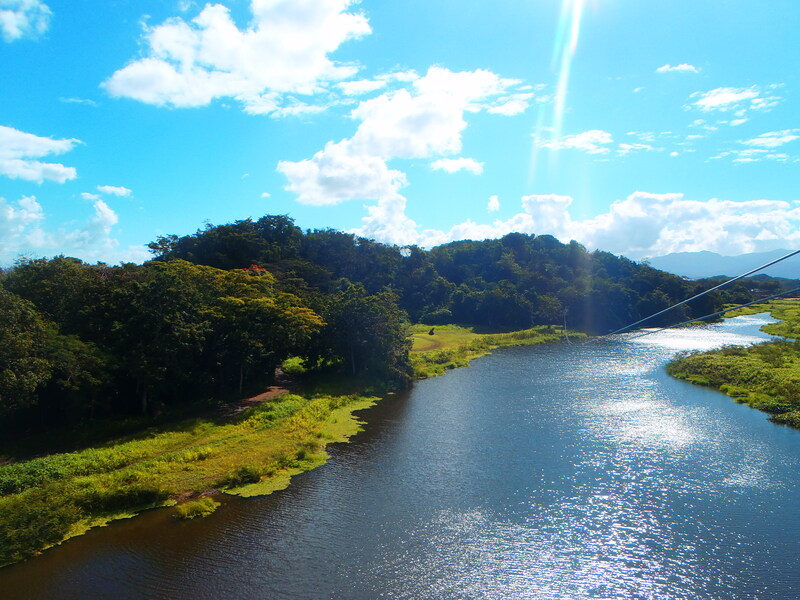 The ziplining place was a 45 minute drive from the pier. In that time you could very clearly see the change in socioeconomic landscape. The areas immediately surrounding Mahogany Bay contain homes that are very run down, ramshackle, and close together. They appear pieced together with random materials, many people loiter in the streets which are very dirty. After about 15 minutes of driving, the houses get further apart as well as larger and larger until you are surrounded by massive sprawling mansions with guest cottages and well kept grounds. After that comes the resort areas, encompassed by a sprinkling of rural housing that gets smaller again but these homes are much tidier. The resorts are absolutely stunning. 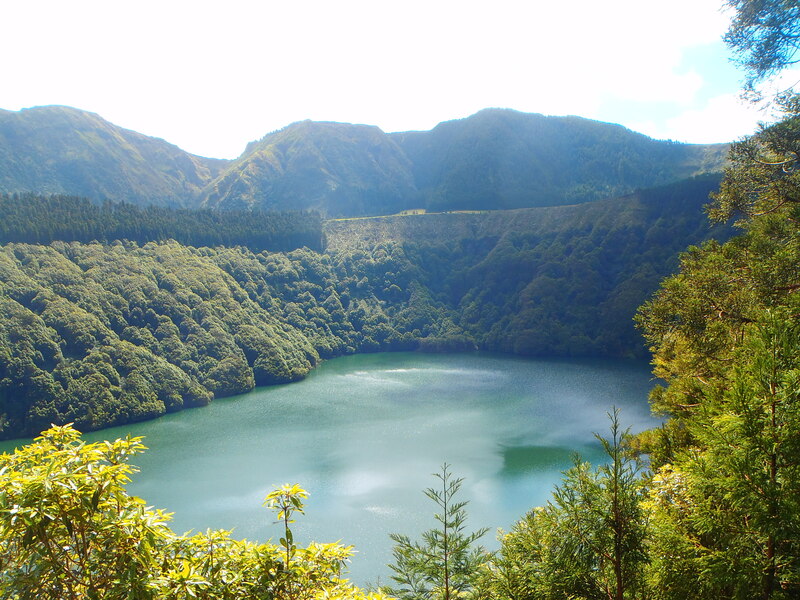 The entire island is covered in lush green rainforest-type foliage that is absolutely stunning. 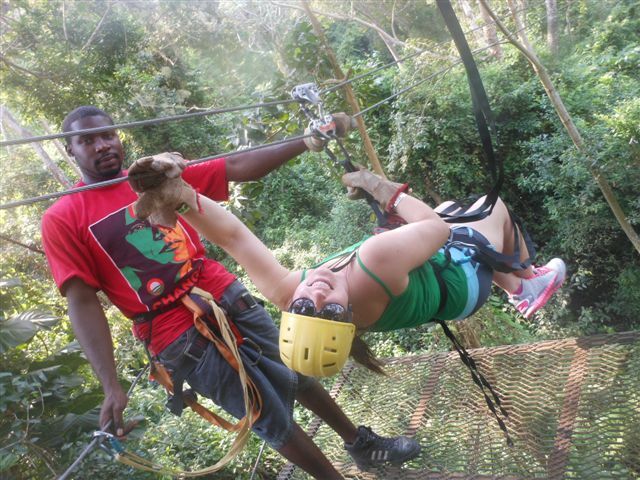 Ziplining through the trees was absolutely breathtaking. 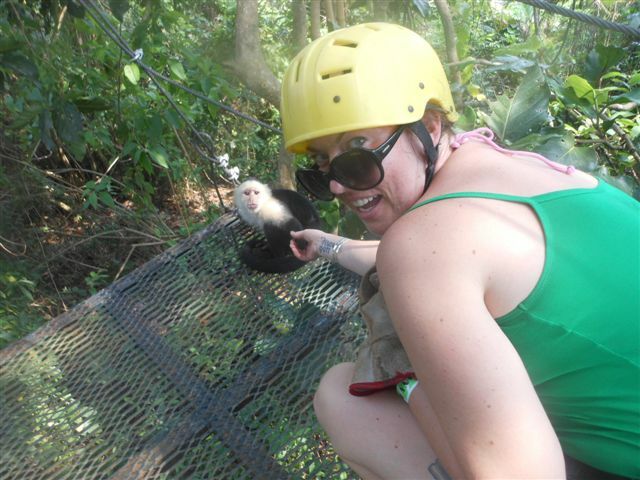 At one point a little monkey came leaping through the overhead branches and landed on the ziplining platform! He was the cutest little guy and he held my hand!! 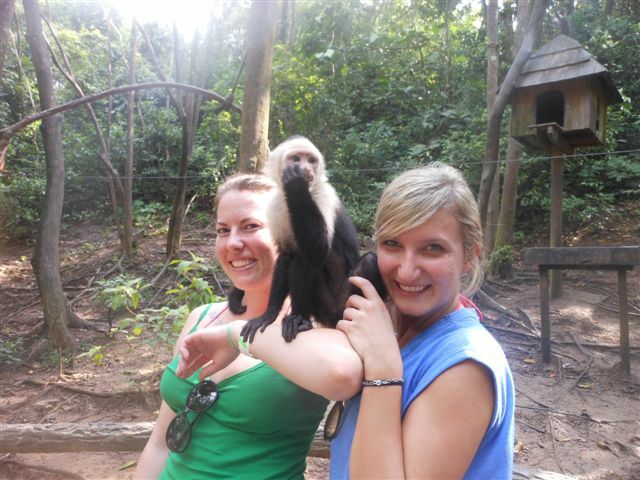 Once we were at the end of our zipline adventure, we stiopped for a brief visit in the monkey park. 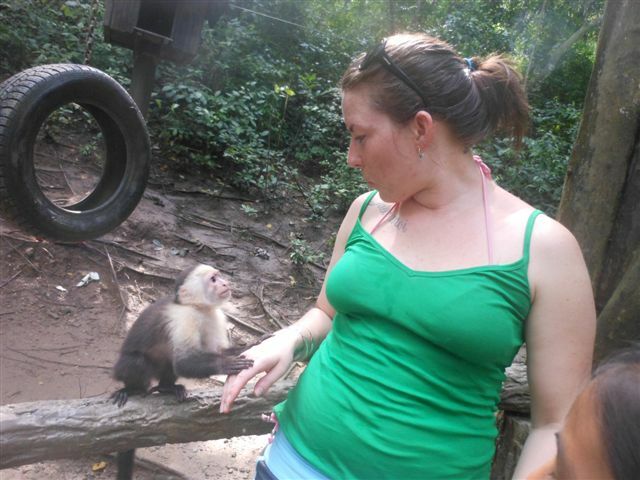 Valeria had a monkey with her baby on her back jump onto her shoulder and lay down on her head. It was possibly the cutest thing I’ve ever seen! After the monkey park it was time to head to Tabyana Beach, which was beautiful too! We wandered down the beach a bit and had lunch at the Infinity Bay resort, which was simply stunning!!! It’s nice to feel like we’re on vacation for a little bit!! So Roatan was a great success all around. 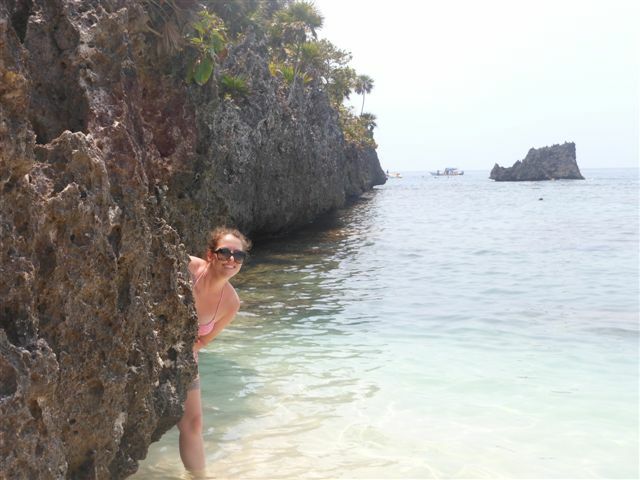 It was the perfect day to say goodbye to the Western Caribbean! 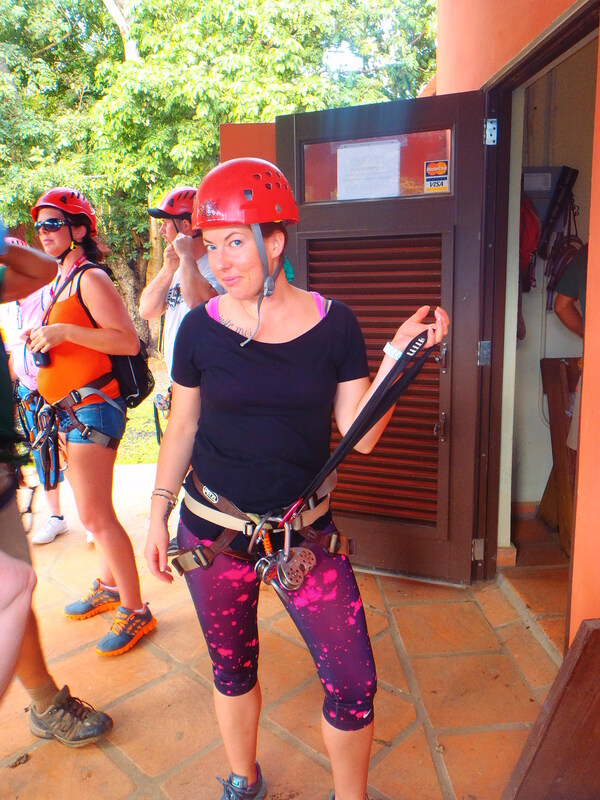 The one and only time I went on an excursion in San Juan, Puerto Rico, I went ziplining in the rain forest and it was brilliant!! I had so much fun!! 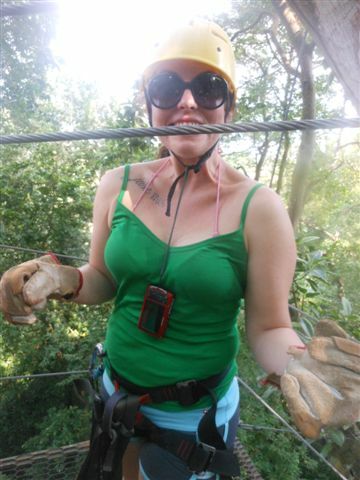 The guides were so much fun, and the views were breathtaking! 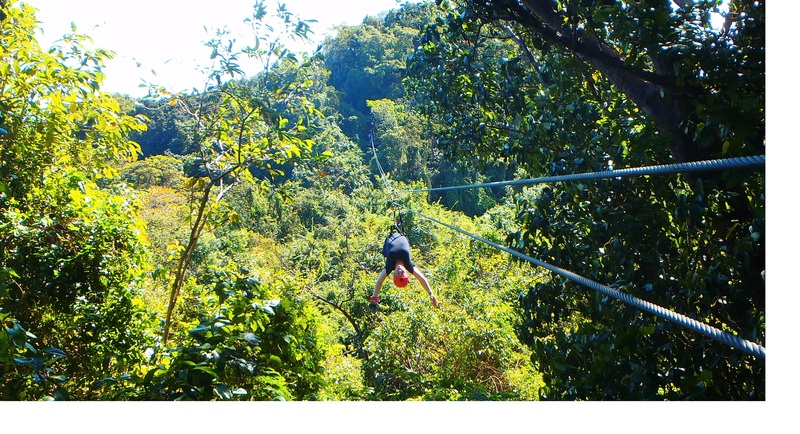 Of course I felt the need to zipline upside down like a crazy person, prompting the guides to exclaim that they’d never seen a guest do that, only they usually do it. 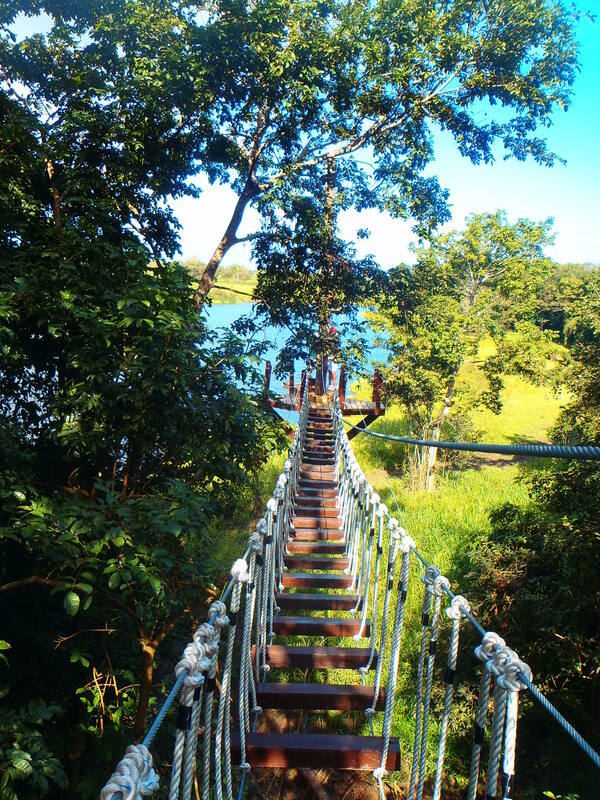 The course had multiple rope bridges just like this one!! Very fun!! 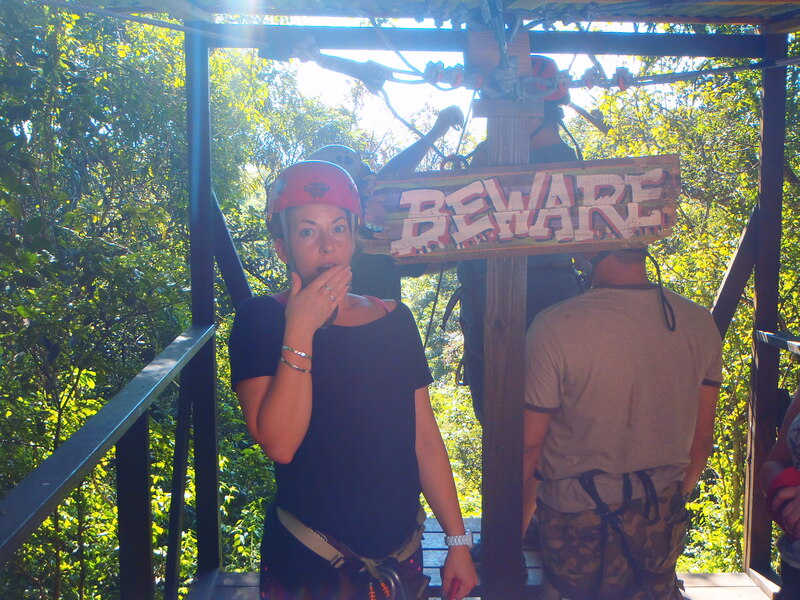 I’m all ready to zip!!!! 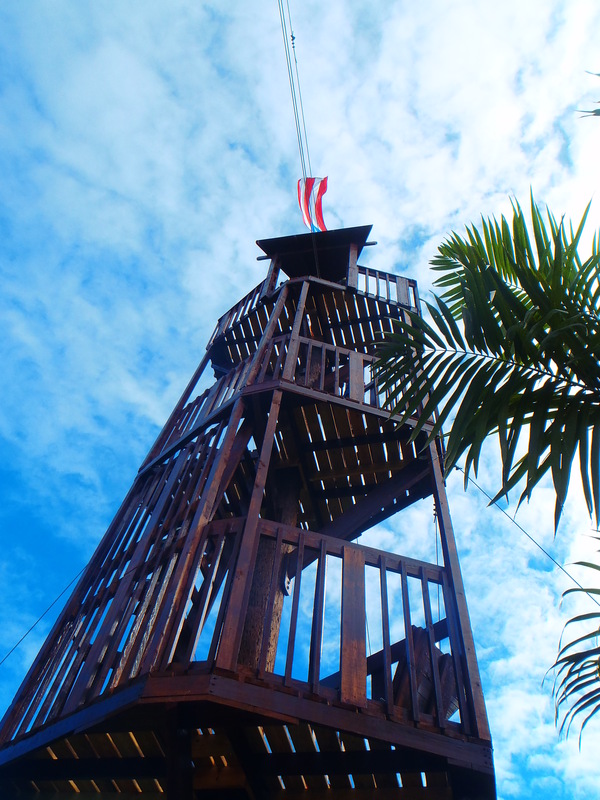 One of the many towers we climbed to start zipping!!! Those of you who know me well are aware that I am a very goal oriented person. I make goals for me, myself, my horses, my finances, my life….you get the picture. Now, in my day planner I keep notes on what I want to blog about or research, etc. In there I’ve had a note that say blog: ‘goals – legend/sunshine’ because I’ve been meaning to write about my goals for quite some time now. Since I got on board there was a stigma about the new ships sailing to Europe, and how much everyone wants to be part of the opening teams. The Carnival Destiny is being refurbished in a MASSIVE project and after the dry dock will sail the Mediterranean. As well, the Legend will be repositioning from Florida to Europe and sailing the Baltic/Mediterranean. As a North American, the opportunity to sail in Europe would be unparalleled and from the beginning is something I’ve been very interested in. I’ve asked my management to put my name in for both teams and as they were being solidified I realized that I wasn’t going to be a part of either. However, I focused on work and learning all my side duties, and then one day last week I got called into the office by my manager. Last week was a particularly emotional week for the entire office and so going into the office made me a touch nervous. My GSM told me to sit down as head office was calling. Head office proceeded to ask me if I would be interested in being the French assistance team member for the European crossing of the Carnival Legend. JOB!!! So this was just a few days ago and since then it’s been a whirlwind. I am going on early vacation, as I need to sign back onto the Legend on March 31st so I can be there for the transatlantic crossing!! I am so very amazingly excited for this new adventure. I will join the ship the week before the crossing to get comfortable with the ship and the team and then off to Europe I go!! I’m so excited for all the things I’m going to learn and all the amazing places I’m going to go. So I now sign off this week, I’m scrambling to get everything done in time and get prepared to leave. I’m so full of mixed emotions. I’m so excited for vacation (plans to be revealed soon, they involve cruising as a guest and travels to South Africa) and I am BEYOND thrilled about my next contract. At the same time, I’m so so sad to leave the Liberty and the team. I absolutely adore everyone and will have such a tough time leaving them. However I know that I will be seeing my favorite people again sooner than later, so that makes me happy. EEEEEEEEEEEK. As I write I’m just in my bed, all packed and ready to go, just using up all my internet card (can’t waste a minute), way too excited to sleep. My sister and family will be picking me up at the airport in less than 24 hours!! So the moral of the story is that having goals and striving to achieve them is crucial, even if striving just includes believing you can do it and writing it all over things. 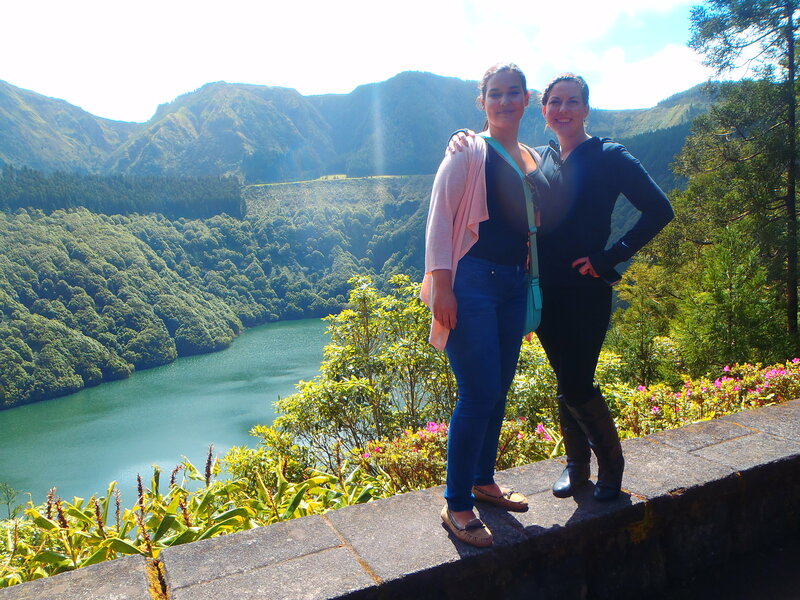 My lovely co-worker Susanne and I went on a few excursions recently!! The first of them being the Coast to Coast tour of Grand Turk! 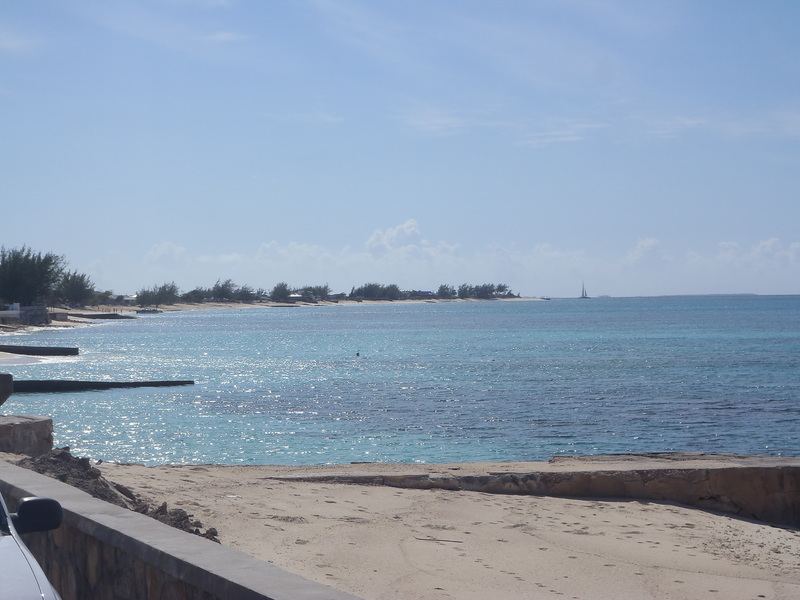 Grand Turk is a very small island, but it was really cool to get to see it all. We drove around in an open-air bus while the driver told us all about the island. We got to stop and go for a swim (of course I jumped right off the dock…I was actually the only one who went swimming, but I’m a sucker for an ocean swim, just can’t resist it!!) 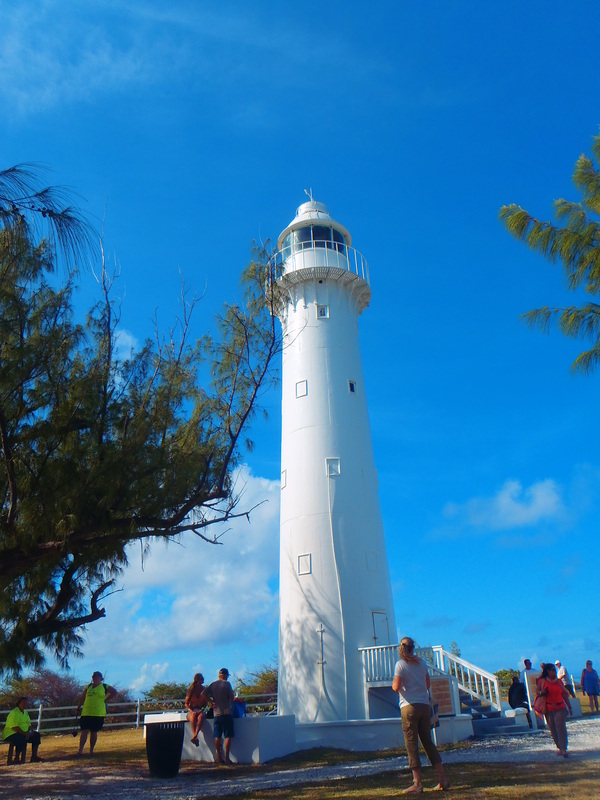 and explore the Grand Turk lighthouse, which was also beautiful! 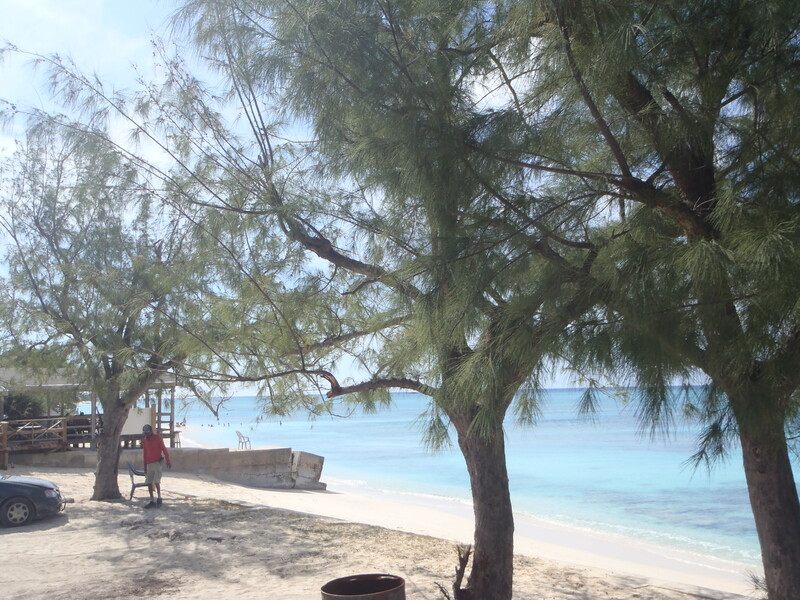 I really enjoy Grand Turk, it’s such a lovely island!! Vic city let's do this! !